Marcy Luikart’s short stories have appeared in The Iconoclast, Bellowing Ark, Pangolin Papers, Beginnings, QWF, and the Connecticut Review. Marcy lives in Santa Barbara, California, with her husband, Ralph, and a miniature poodle. She enjoys obedience and agility training with the poodle, hiking, camping, fiddling, painting, and most especially a good story. Sonny Barton was raised on his Grandpa Joe’s stories about the Mississippi River. But when he discovers that Joe’s prized 1904 Olympic Rowing Team photo is a fraud, Sonny comes to doubt everything he thought was true. 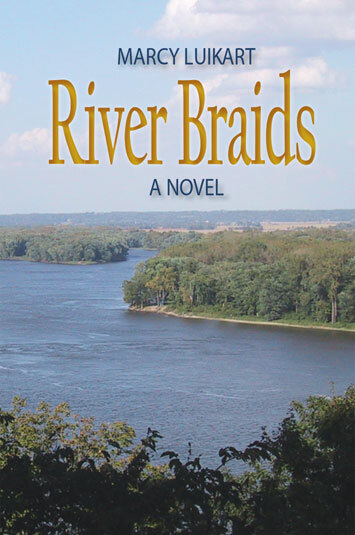 Set in 2004, River Braids weaves together Sonny’s modern-day journey, Joseph Barton’s 1904 recollections, and Joseph’s wife Annie Barton’s diary entries to chronicle the one-hundred-year history of the Barton clan. 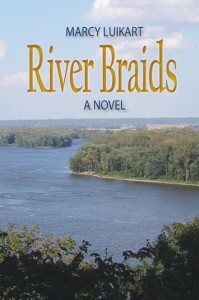 As it becomes clear that Joseph was denied a place on the rowing team due to his Native American Heritage, Sonny realizes the importance of his heritage as a descendent of a proud Native American line and as the latest link in a generations-long bond with the Mississippi River itself. Literary Gumbo: Marcy Luikart from Literary Gumbo on Vimeo.